Located at the Sangre de Christo Mountains, Mountain Sports of Angel Fire has an amazing bike shop. We have everything you need to start your adventure, including topo maps, local trail maps and suggestions, and rentals. In addition, you'll find a full line of clothing and accessories from FOX, Camelbak, Rockgardn, Alpine Stars, RaceFace, Dakine and The North Face. The Mountain Sports of Angel Fire Bike Shop services a wide variety of bikes, with parts regularly kept in stock. Our trained in-house mechanics will get you back on the trail in no time. We also carry a complete line of components you may need to your own repairs or due standard maintenance. 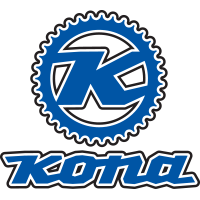 Mountain Sports offers a full rental fleet of Kona trail mountain bikes for ages 7 and up in a wide range of sizes. The ultimate blend of function and fun, the Splice returns this year with shortened chainstays giving the bike a much more responsive, zippy feel. 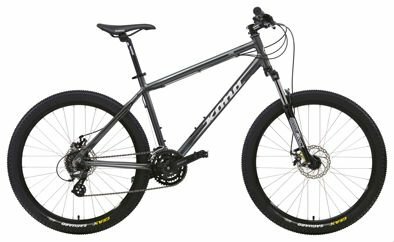 With a wide-range 24-speed Shimano drivetrain, 63mm front fork with lockout, narrowish 40c tires and hydraulic disc brakes, the Splice is perfect for the person who wants a mountain bike, but doesn’t actually want a mountain bike. Get it? In the pioneering days of off-road racing, mountain-bike legend Joe Murray won a bunch of races for Kona on a bike that looks and rides a lot like the modern-day Lana’i. That tradition still lives in one of our longest-standing models. With perfect XC geometry, a lifetime warranty, and components that find that sweet balance between performance and price, the Lana’i is the ideal bike for those wanting to dive into the big, wide world of mountain biking. For those of smaller stature and new this year, the Lana’i is available in a 13-inch size. Mountain Sports of Angel Fire is located at 3375 Mountain View Blvd in Angel Fire, New Mexico, 87710. Located right next to the grocery store at the center of our resort just a mile from the lifts. Come by and check out our amazing store and see the difference of renting from the only one stop shop in all of Angel Fire. We are a full retail store and a full rental shop with: Rental Skis, Rental Snowboards, and services. We are a family owned and operated store focusing on giving excellent customer service to all of our customers.